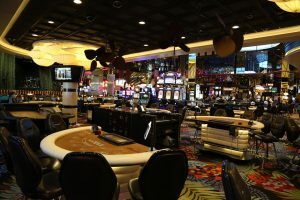 For those serious gamblers, for those who perhaps just dabble in gambling, and for those who don’t gamble but want to see the action – Reno offers a pleasing diversity of casinos. 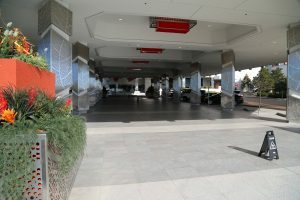 And most of these casinos feature a large hotel, often in a separate building from the casino (sometimes connected by walkways). The majority of the casinos feature doors that must be pushed open – and once you push through a second set of doors, you are deposited into the actual casino. In our experience very few casinos in Reno have automatic doors. 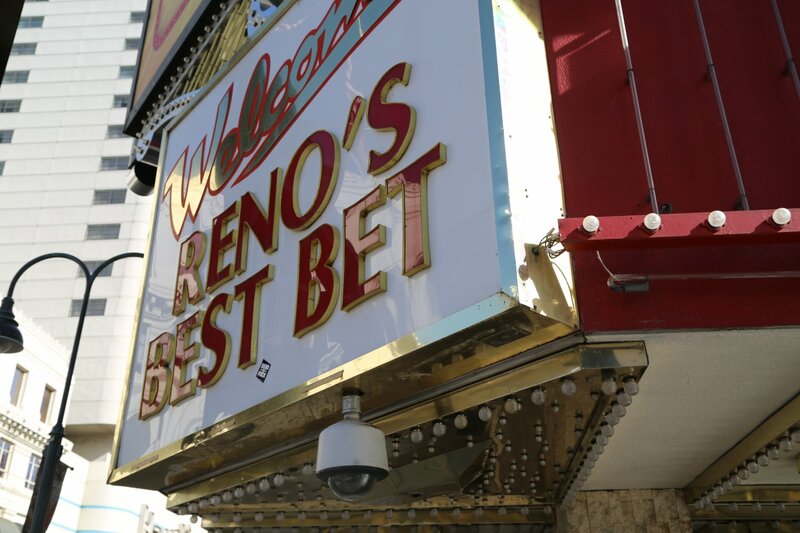 When in Reno do as the tourists do, accept their way of life on the road and try your hand at gambling. 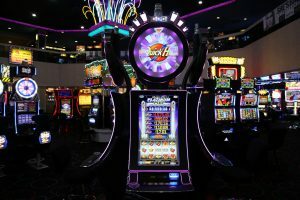 Pray, chant, plead, weep, do whatever you have to do to appease the god’s of the one armed bandits we call slot machines. 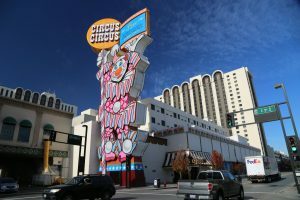 There seem to be many different gods you could pray to in Reno town, or in any other gambling town, but in reality they are all one in the same. 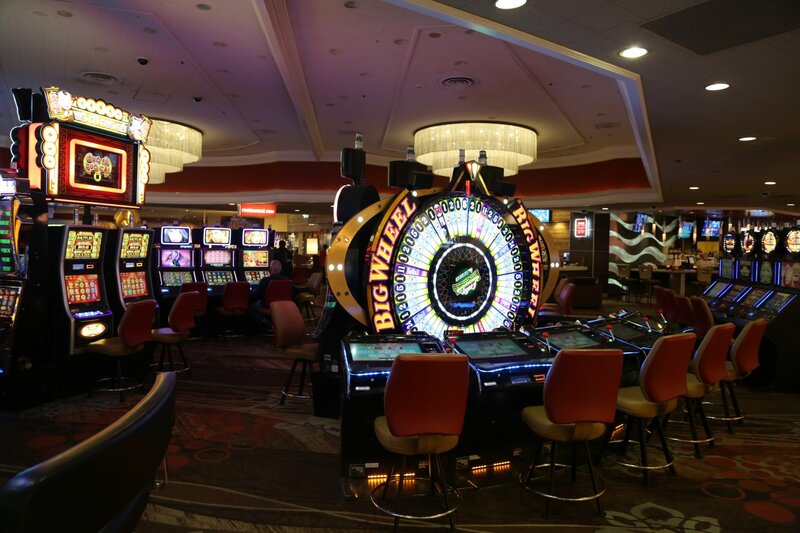 Whether it be slot machines, poker, keno, or blackjack, the odds are in the houses favor. 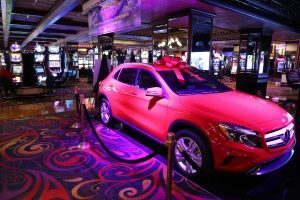 However, regardless of this, gambling can be an interesting experience. 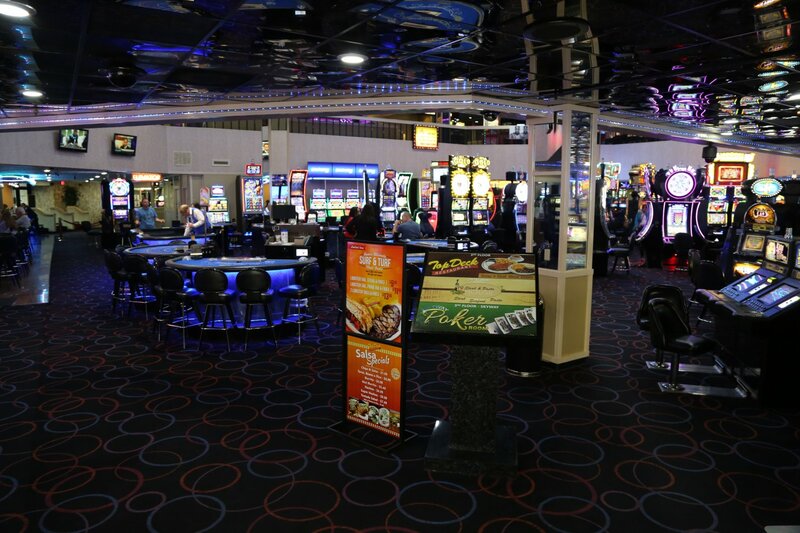 Music in the casinos tends to be uplifting and inspirational. 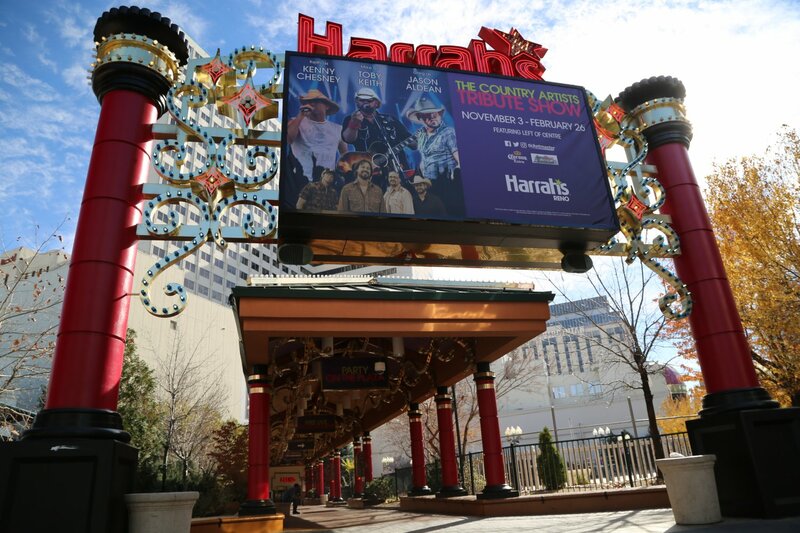 Some of the casinos pipe their music softly curbside to lure in visitors who have a soft spot for emotional tunes. 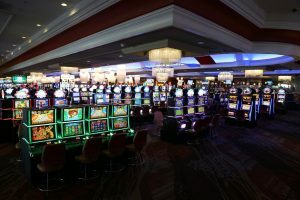 We always enjoy watching tired people who have been playing the slots all day long (and perhaps all night long as well), begin to talk to what they perceive as “their” machines. 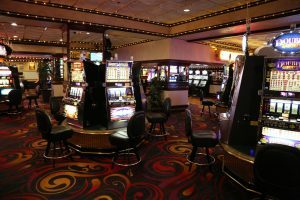 Depending on their previous luck or lack thereof, they will be pleading, talking sweetly, or just plain shouting obscenities at the machine. I have noticed that some people even give their machines nicknames. For example, I saw one lady pleading with her quarter machine, “please Johnny, just one more winner for the bucket and then I will leave.” Others become quite Bullworth in their approach to dealing with the machines. This usually happens after they have lost a substantial amount of money. 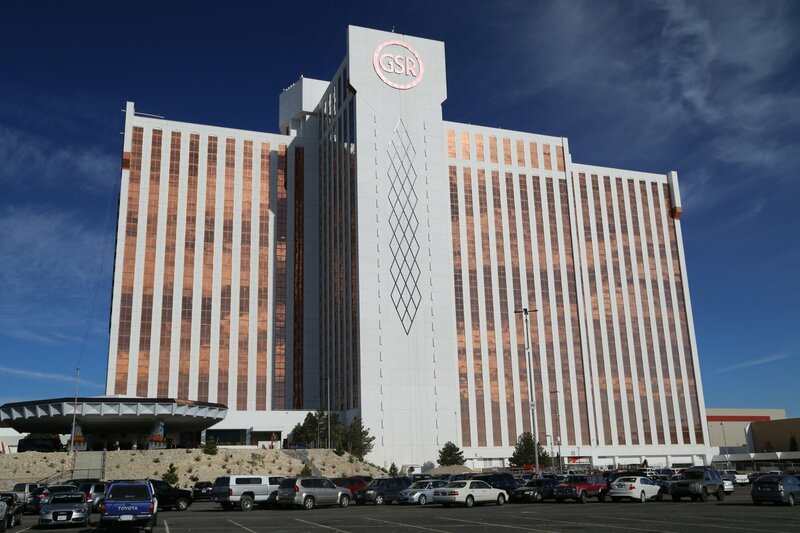 Love how the word casino rhymes with Reno? And Keno. So do we. 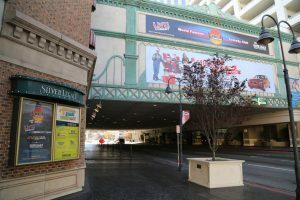 Virginia street is a mix of casinos, bright lights (especially at night), and interesting dealers of “old western” memorabilia. This is also the street that contains the sign “The Biggest Little City in the World” featured in many gambling movies. Parking can sometimes be challenging in the downtown area. We have found two options that have worked well in the past. 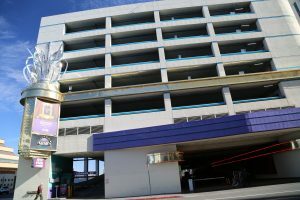 We have either parked close to the Truckee river just south of the downtown area, or in one of the several large above ground parking structures located in the downtown area. 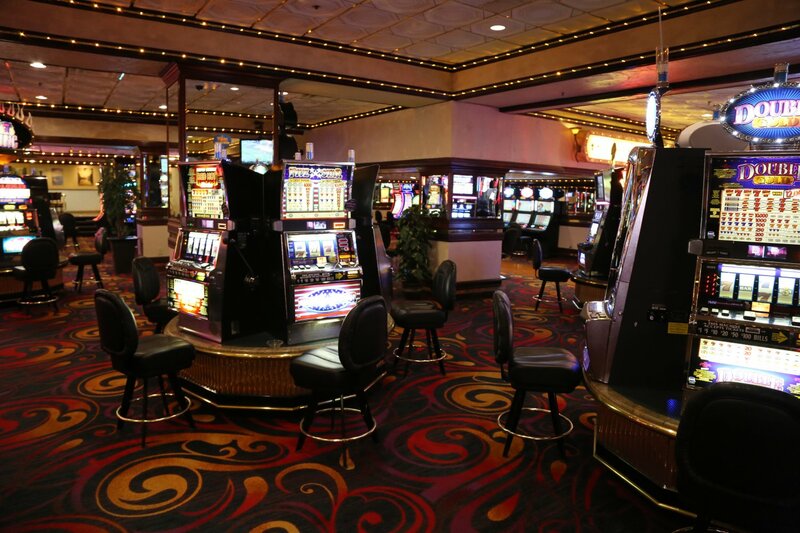 We have visited the following Reno based casinos. 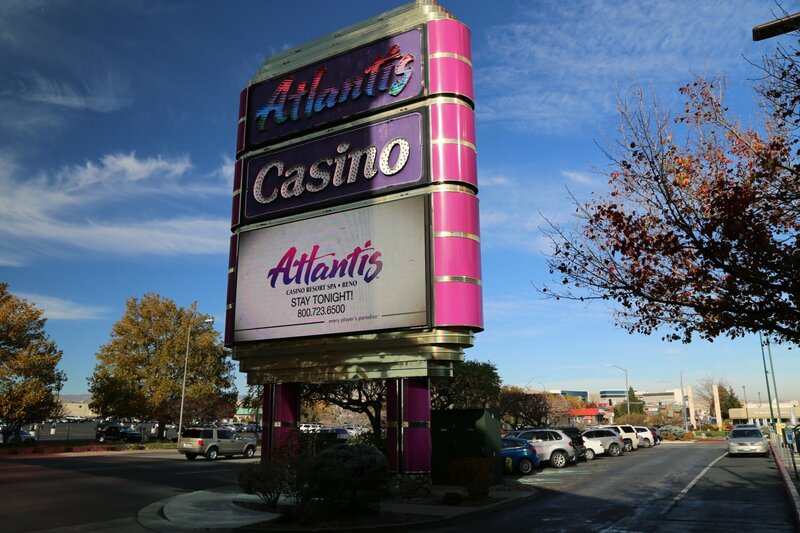 Atlantis is located south of downtown Reno, across from the convention center and only about 2 miles from the Reno-Tahoe International Airport. 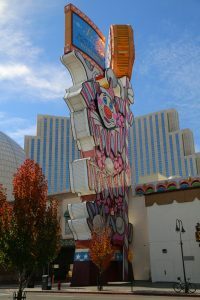 Stands by itself rather then surrounded by other large casinos. This sizable casino and hotel features a number of various dining options, a spa and both indoor and outdoor pools. 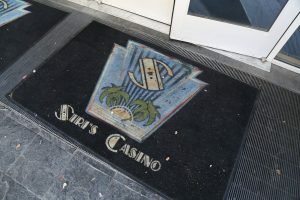 Unlike most of the major casinos located downtown, this casino features automatic doors that open when you walk in (rather then the manual push doors). Boasts 61,000 sq. 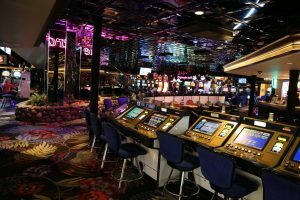 ft of casino space and some 1,400 slot machines. 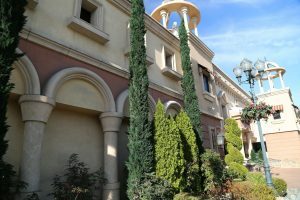 Has a luxury large spa, a salon and can handle weddings on site. Club rooms and suites come with butler service and a lounge including complimentary breakfast. There is something at this major ‘player’ for everyone. 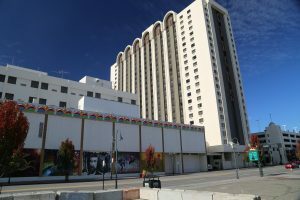 Cal Neva is a historic casino (for Reno standards); it first opened in 1962 – the only other major casino in Reno open at that time still in business is Harrah’s Casino. 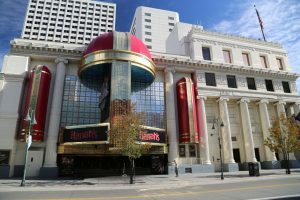 Remarkably this casino has been open 24 hours a day 7 days a week since then – the notable exception was in November 1963 after President Kennedy was assassinated. 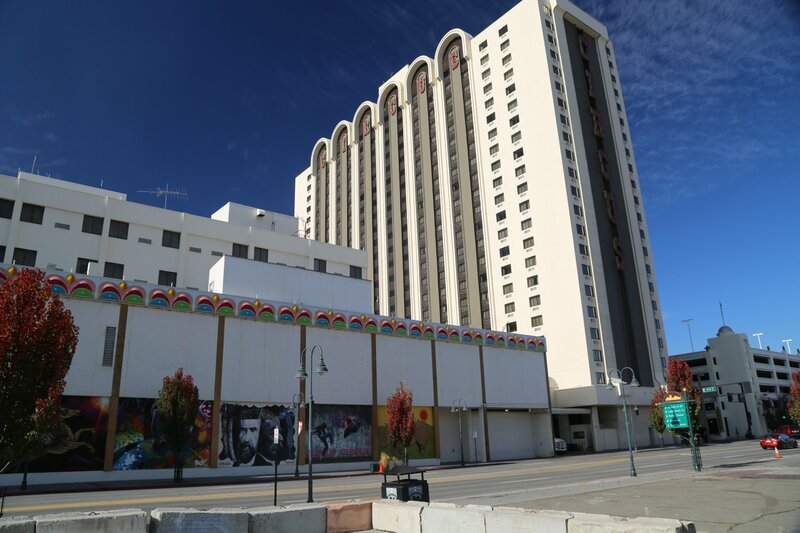 Located within a short walk of the National Bowling Stadium and Reno Events Center. Features 36,000 square feet of casino space. 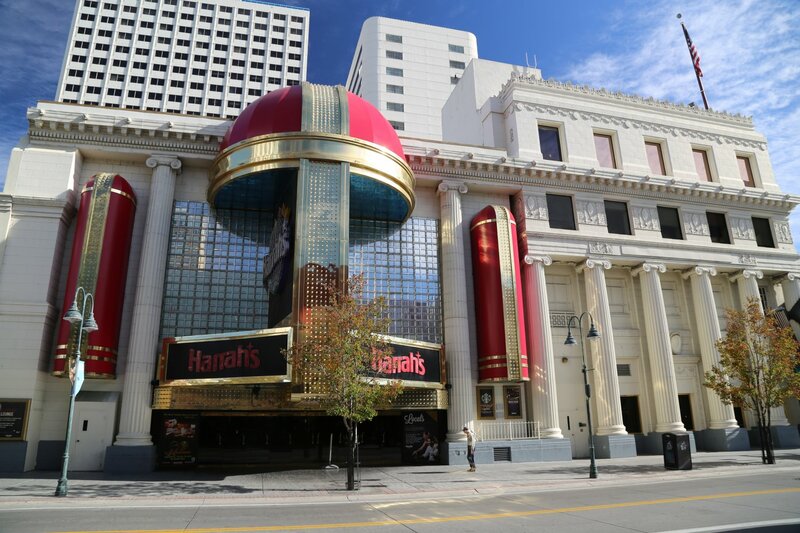 Looks like a casino should look from the outside. Cherishes it’s heritage visually. Like other nearby casinos offers some very reasonably priced dinner specials. Pennies get you excited? 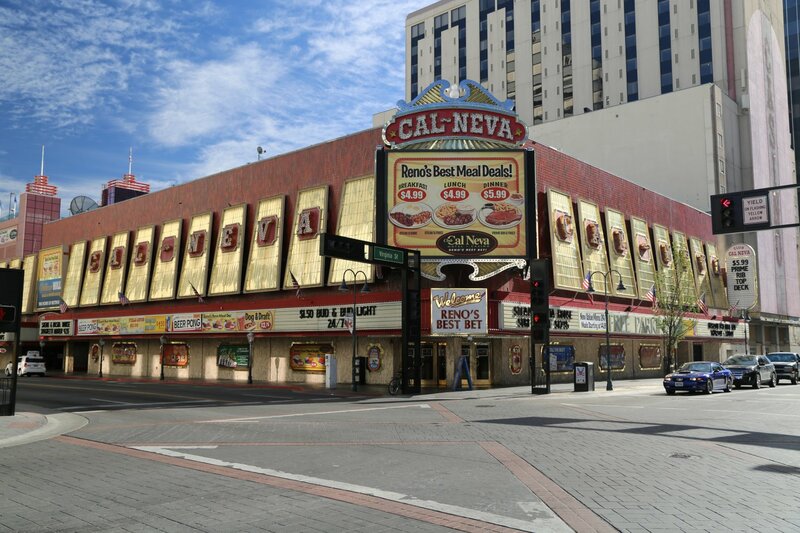 Voila, look no further amigos – Cal Neva boasts downtown Reno’s largest selection of penny machines. 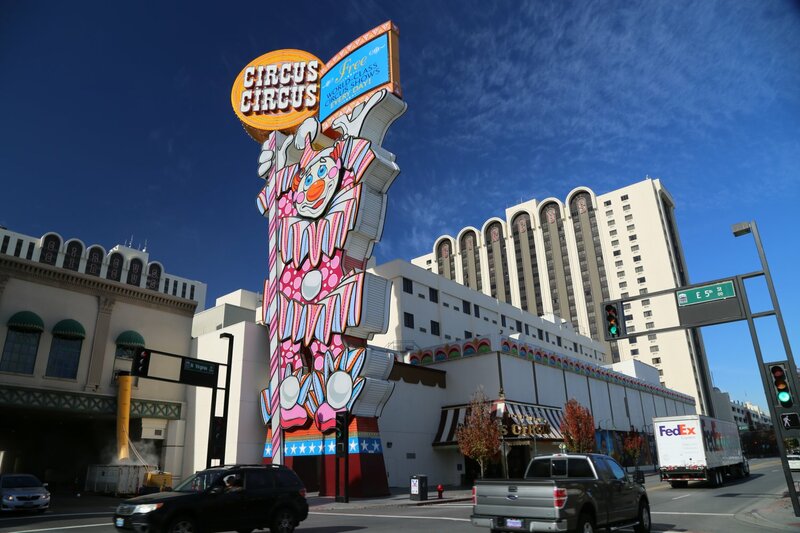 Circus Circus, in case you didn’t get it the first time, this casino uses it’s name to doubly reinforce the theme built around this particular property. 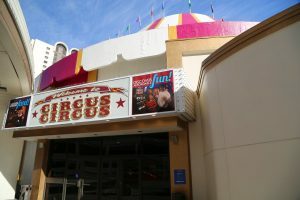 It features a circus theme with bright colors, a circus ‘tent’, and happy clowns including one standing outside on N. Virginia Street that locals often refer to as “Topsy” the clown. 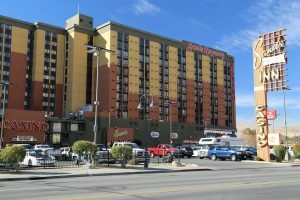 Conveniently located downtown it is connected to both Eldorado Resort Casino and Silver Legacy Resort Casino via a sky walkway (located above the city streets). Large parking lot features plenty of free parking spots. 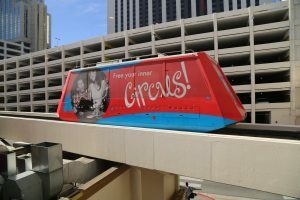 Also unique for Reno is the red ‘skyway’ monorail which shuttles visitors between the parking lot, the two hotel towers and the casino. 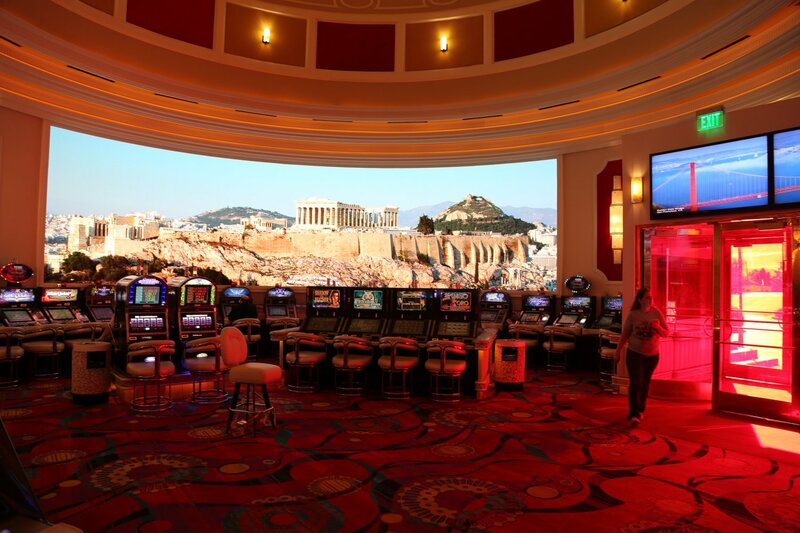 This is a big casino in the Reno scene with 65,000 square feet of gaming facilities. Also very kid friendly (as you might expect with the name like this) – carnival games and free circus shows. 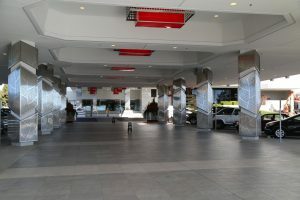 Shoppers also take note – there are several retail stores on site. And also features a convention center a several meeting rooms. 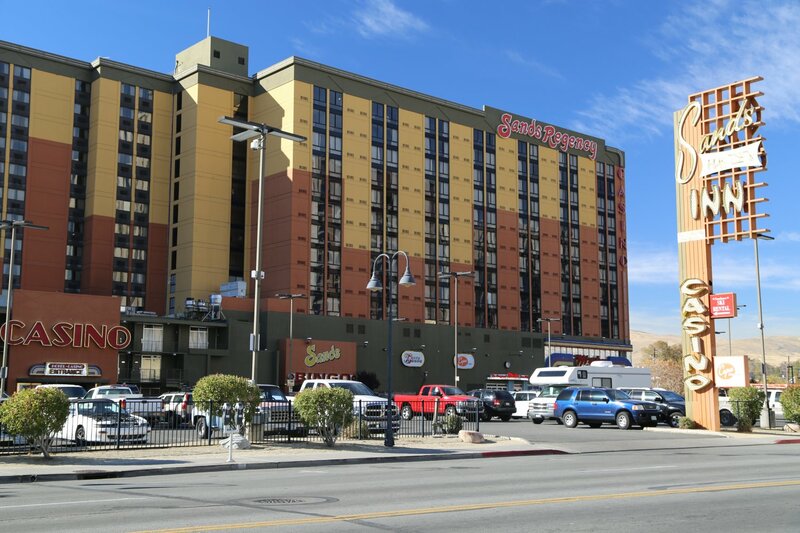 El Dorado is conveniently located near the Reno Events Center and the National Bowling Stadium. Features plenty of parking in their own garage (free). Also an outdoor pool located on the 5th floor along with a fitness center. 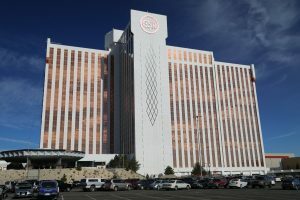 Grand Sierra Resort or GSR for short is located several miles east of downtown Reno, not far from the Reno-Tahoe International Airport. 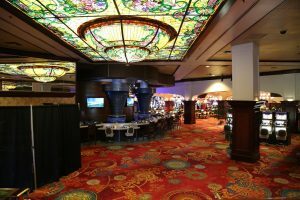 This is a stand alone casino is a major player in town – a self appointed ‘fun center’ with so many activities why wold you ever walk out their doors once you walk in? 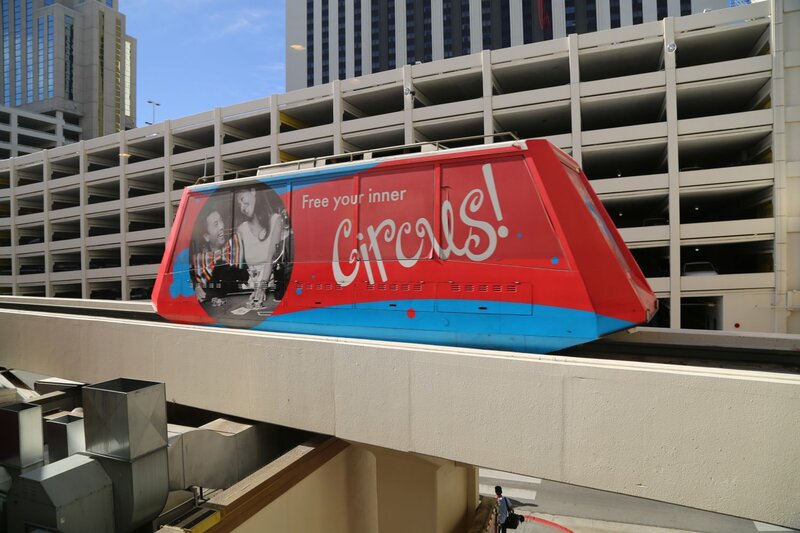 Offers with plenty of open air parking (just don’t park to long or you might be emotionally disturbed to find an 8×11 paper on your dashboard indicating you have overstayed your parking welcome) including an RV Park with full hookups. An impressive casino merits an impressive entrance and this one has it. 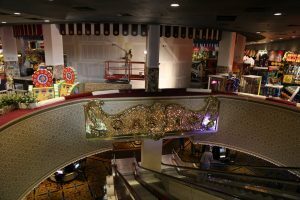 Walk up steps from the parking lot through a covered glitzy metallic themed entry way and soon be greeted with the sounds of slot machines and a visual feast of colors and sensory stimulation. If the National Bowling Stadium is to far for you – look no further, they have their own slightly smaller bowling alley (still features 50 lanes)! This is a major casino with many rooms. 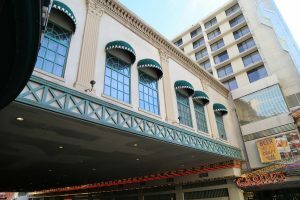 Great spot for meetings and conventions – as this casino has Reno’s largest space for meetings and conventions of any casino in the area (200,000 square feet). 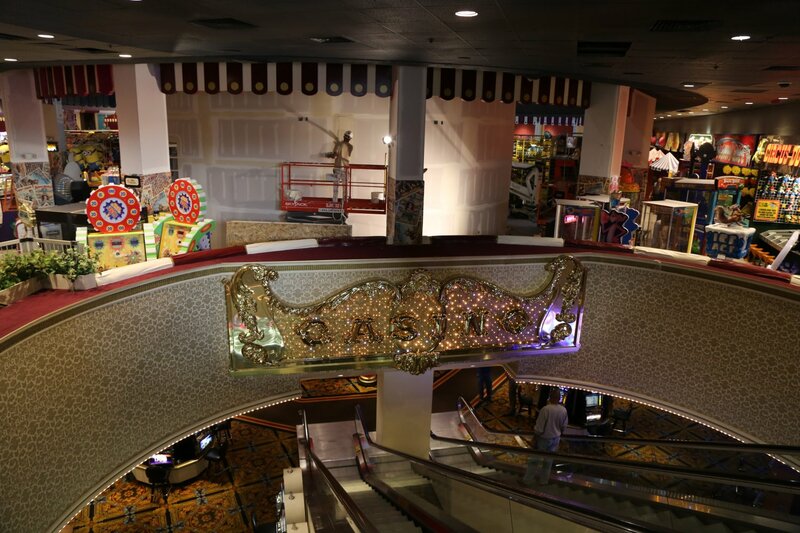 Over 80,000-square-feet of casino space. Also a spa on site. Very kid friendly with miniature golf, go-karts, and simulated skydives at Grand Adventure Land. 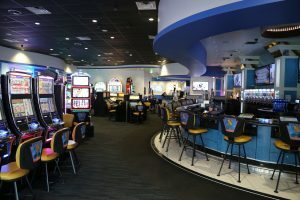 Also FunQuest video arcade and laser tag. 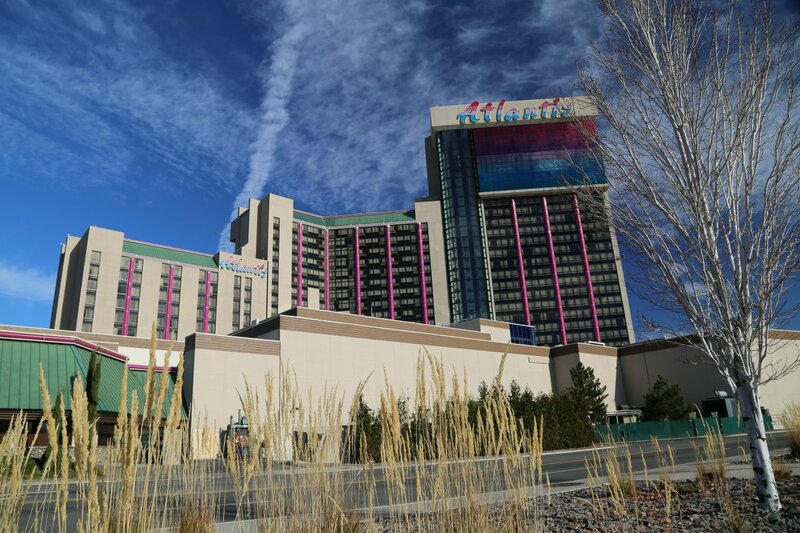 Golfers take note, Boom – Reno’s only over water driving range. Party hard? Sure why not, your on vacation. 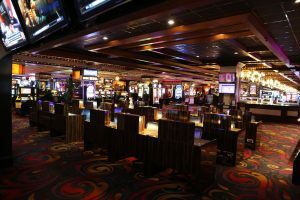 Hit the LEX Nightclub and mingle with singles and toke some grub and drink to. Do it all night. And if you have the stamina and are young enough – do it again the next night. The first Harrah’s casino was founded in Reno in the late 1930’s as a small bingo parlor. 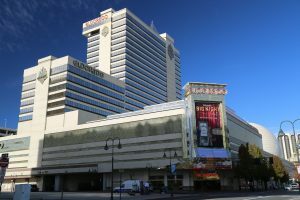 Today they are one of the world’s largest gaming corporations and a major and historic casino located in downtown Reno. 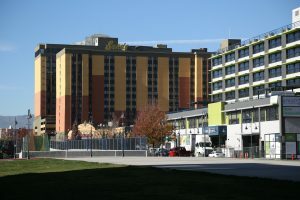 Only a 5-minute walk to the National Automobile Museum. 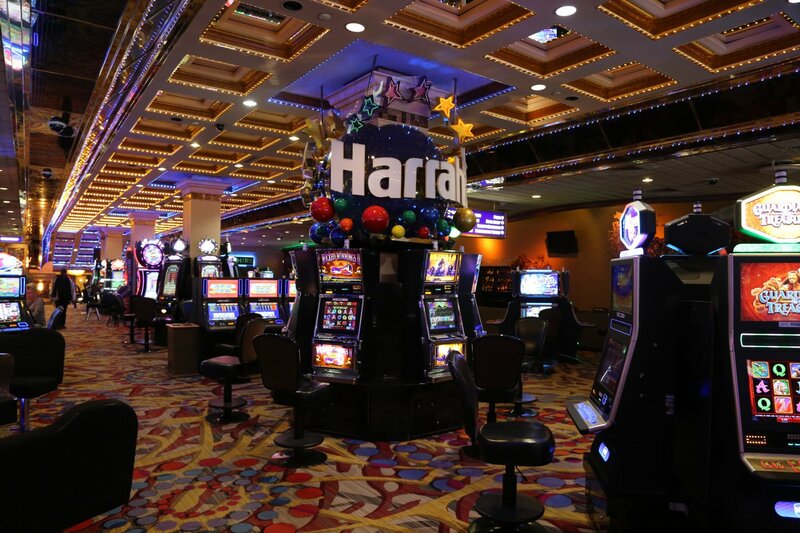 Offers 60,000 square feet of casino space with more than 700 slot machines. Ching ching. Along with Cal-Neva, the oldest casino in downtown Reno. Besides gambling and plenty of hotel rooms (900 plus), Harrah’s also contains a spa, lounge and salon and eight dining options including the ever ubiquitous Starbucks. 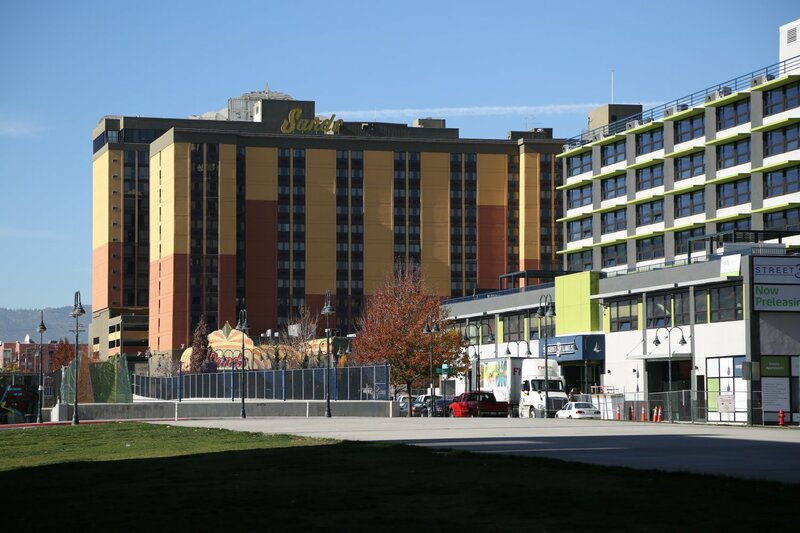 Great views of the city and surrounding mountain ranges from the upper most floors. Bit name acts perform here. 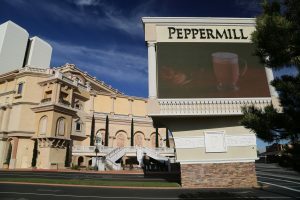 Peppermill Reno is a stand alone casino located south of downtown and relatively not far from the Reno-Tahoe International Airport. A major player on the Reno casino scene. 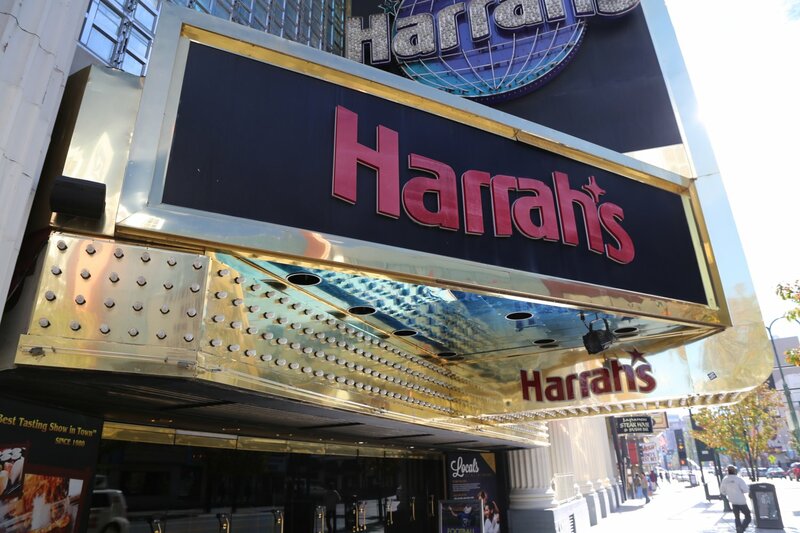 Twelve restaurants, 14 lounges and a nightclub along with two outdoor pools. 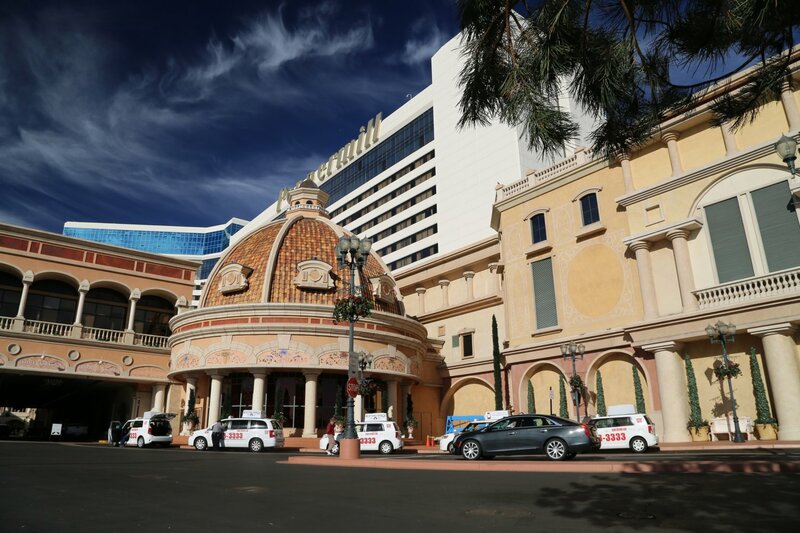 Sure to inspire any Italiophiles with its Tuscan and opulent architecture both inside and outside. 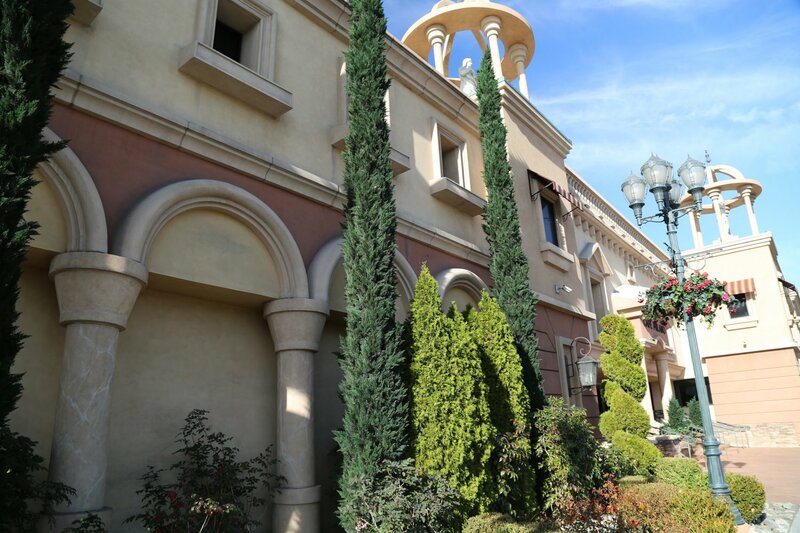 White Romanesque statues outside catch your eye as you drive by. 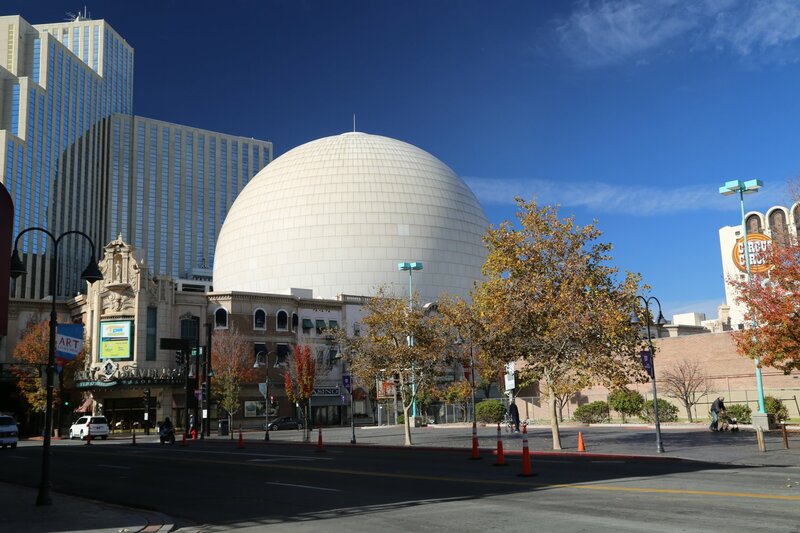 Nice circular drive leads to impressive dome at the entrance. Seems to attract a plethora of taxi drivers. Once you are inside you are inspired by a semi circular video displaying on the wall providing stunning imagery of special places like the gleaming buildings of St. Louis at sunset, the Acropolis in Greece and the Golden Gate Bride in San Francisco California. 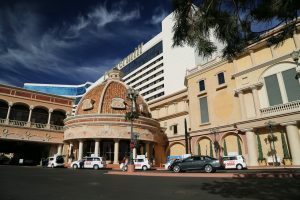 Rooms are well appointed and include mini bars in case you would like to continue the drinking up in your room – also in the Italian theme, rooms feature marble bathrooms. 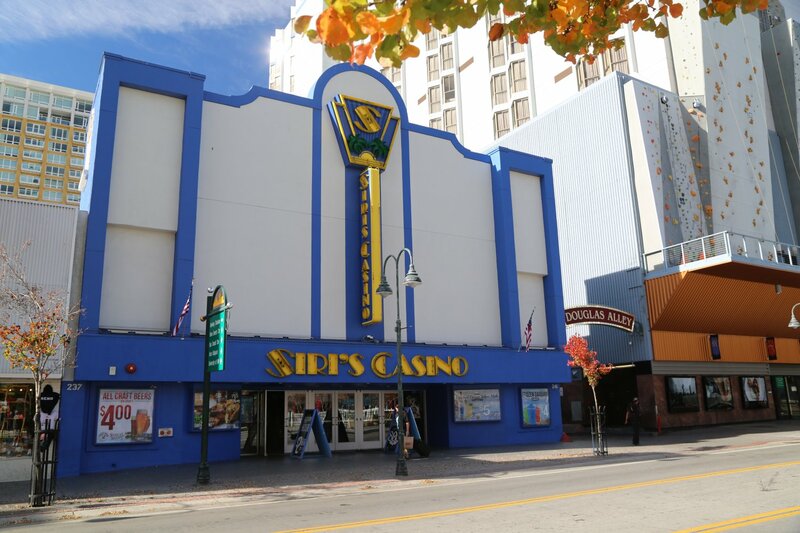 Sands Regency is located a few blocks away from the core of casinos in downtown Reno. 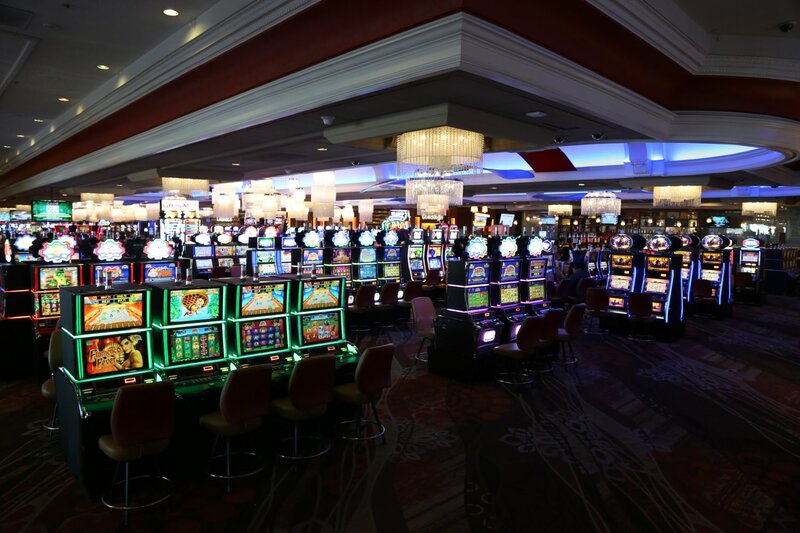 Contains over 600 slot machines and a Bingo Parlor which offers six bingo sessions daily and seats up to 200 people at any one time. Fairly reasonably priced rooms. With every stay one can use their seasonal pool area, a penthouse-level health club and have access to their full-service salon. Free airport shuttle for guests and plenty of onsite parking (no charge). A Dog friendly hotel. 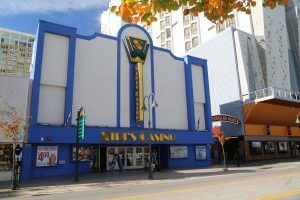 Siri’s Casino. 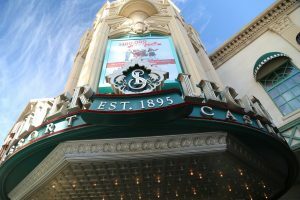 This little baby opened downtown in 2014. Interestingly it does not feature a hotel like all the larger nearby casinos. 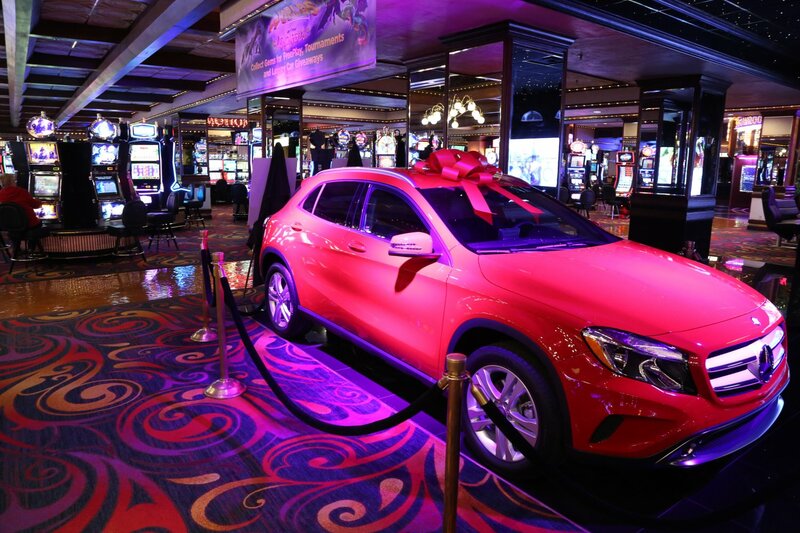 The focus is on the gambling and the drinking. Want to have a go at their frozen daiquiri while you pull the one armed bandits or mash the lit up buttons (lit up when you still have credits available)? Certainly if you dare – they are made from 151-proof alcohol. 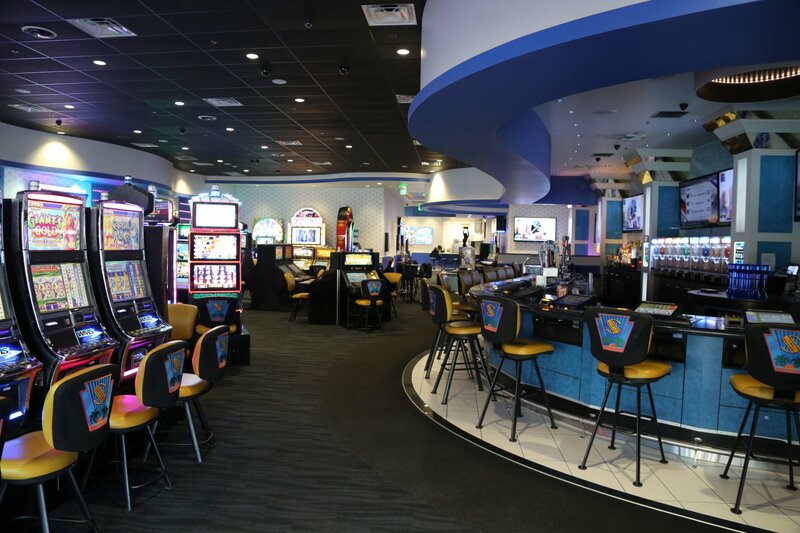 Check in to their loyalty kiosk every time you visit in order to earn a variety of pleasing perks for the palate including drinks, and food. Reach check in milestones – give a loud whoop when you do and go collect your prizes straight away. When you leave, mind the shirtless drunk who waves to passerby’s and wanders unsteadily in the front – course he may not be there when you are there. But if so, its all part of the experience. This building cannot be missed when you are strolling or driving around downtown Reno. It is the one with the large round ball, located at 407 North Virginia Street (not to be confused with the similar symmetrical round ball architecture located on top of the nearby National Bowling Stadium). 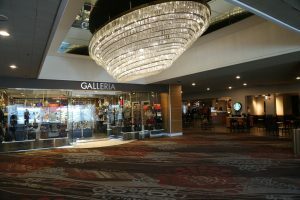 Most likely you will walk in out of the bright sunshine and be awestruck with the size of the place. 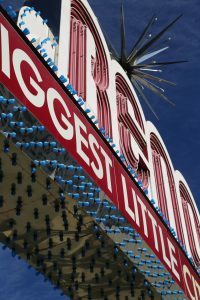 In front of you will be a 120 foot tall piece of mining equipment that will seem to be continually minting silver dollars. 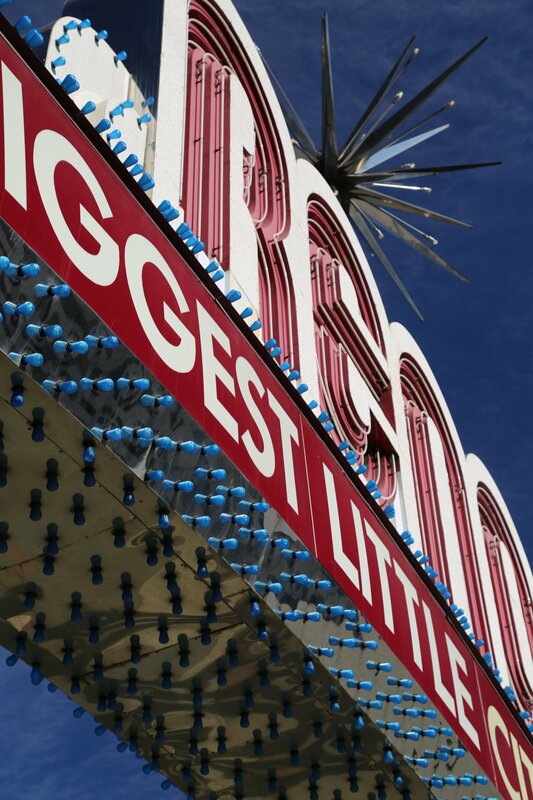 You will see thousands upon thousands of coins dropping from the mint. First opened it’s doors in 1895 – lots of history here. Similar to some of the ‘master’ casinos in Las Vegas, when you look up at the ceiling you will see stars and clouds. These are projections from particular light bulbs located throughout the building. 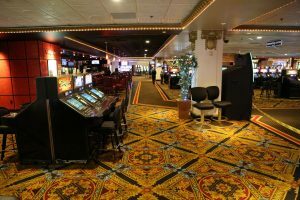 Adding the noise from the mint to the noise from the slot machines, and you have a casino floor that seems to be noisier then most of the others. Lots of action here. 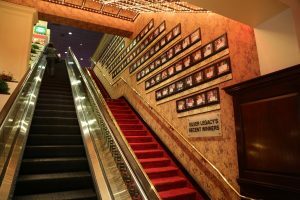 Big recent winners are profiled with their framed photos hanging near one of the stairs/escalator. Want to laugh? 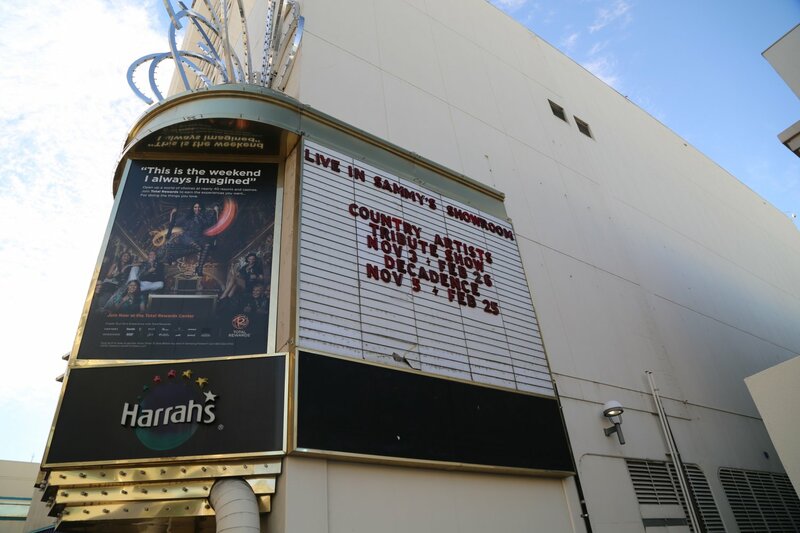 Come to the Laugh Factory on site for often prominent and well known comedians performing. 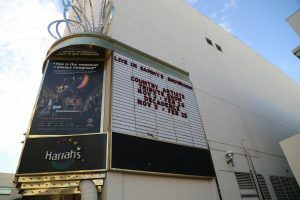 Also Laugh Factory’s in Los Angeles and Long Beach among other locations.